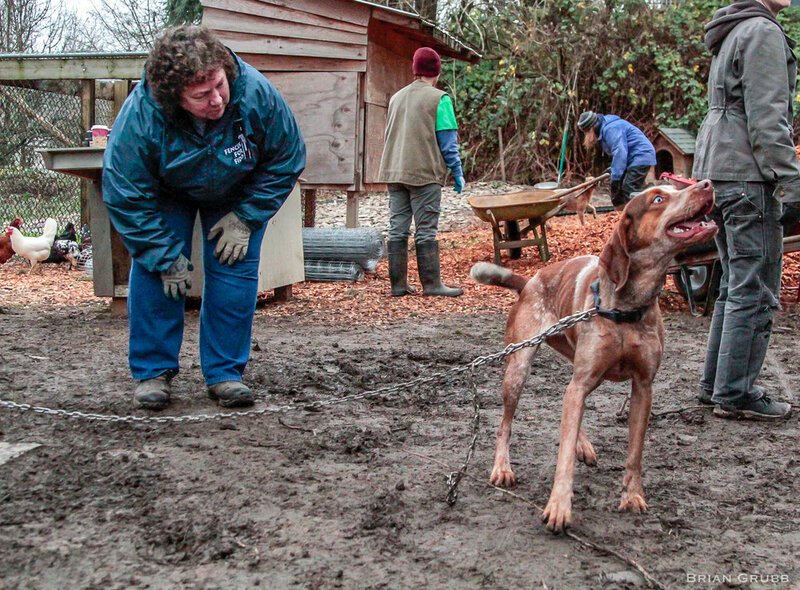 Friends and colleagues packed a Molalla church on March 30 to memorialize Sue Heublein, a leader in the movement to unchain dogs across Oregon and the US. 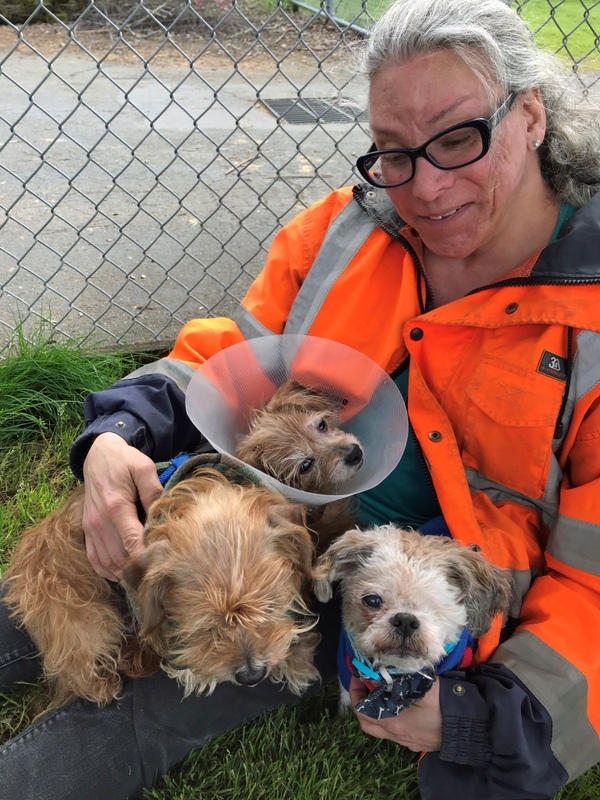 Sue had served on the board of directors for Portland-based Fences For Fido, where she also volunteered as a client outreach coordinator and fence builder, working with area families to free dogs from life on a chain. Most recently, she co-founded Unchained Planet, a project of Fences For Fido to mentor groups and individuals across the country in starting their own unchaining organizations. 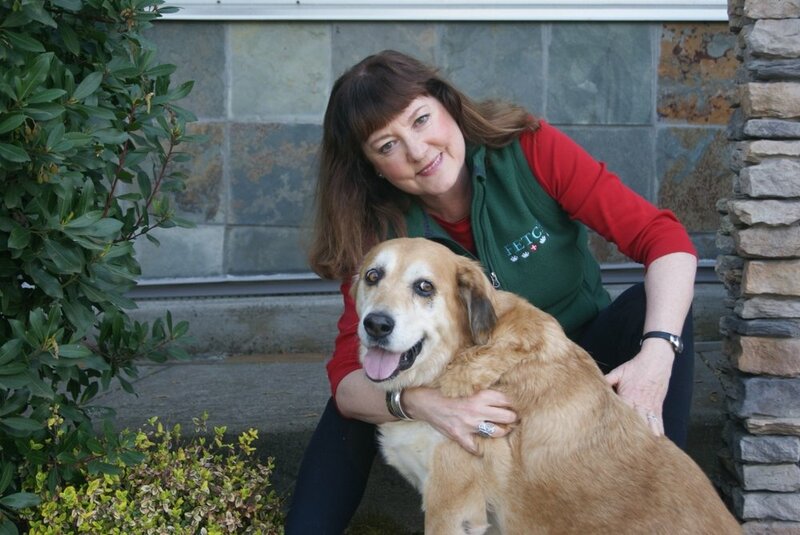 Fences For Fido colleagues praised Sue’s cheerfulness, even when working on sad dog situations or battling the aggressive cancer that ultimately ended her life. The 67-year-old Sue had retired from a distinguished career in upper-level management with the Veterans Hospital. As a member of the Army Reserves, she completed Officer’s training, won awards on the rifle target-shooting team, and attained the highest rank of Captain. Posted in Fetch, Feature, Life with Pets, Animal Welfare and tagged with Features. 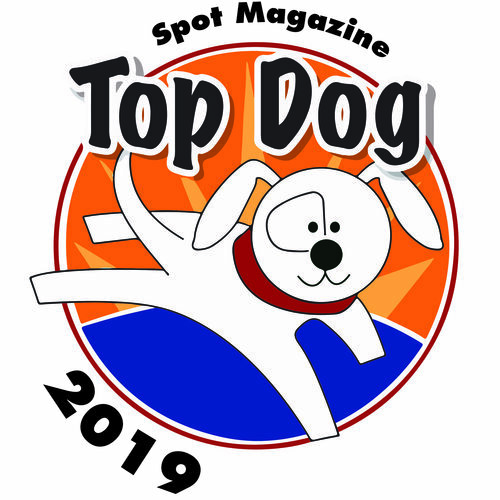 April 18, 2019 by Spot Magazine. Colorado native Hayley Cassatt had a beloved childhood cat, names Six ,an orange Tabby. “He was just the best cat in the whole world,” she remembers . After moving to Portland as an adult, Cassatt was ready to adopt a pet. She went to Cat Adoption Team in Sherwood with a specific wish: a male orange Tabby with a mellow, affectionate, charm-your-whiskers-off personality. Cassatt called her dad, a professional cartoonist who called himself the family’s Cat Butler. The pair shared a love of art and cats. She told her dad the cat wasn’t anything like their beloved Six, but that her heart was hooked anyway. His fatherly advice: adopt the weird cat and bring her home. Unlike her predecessor, this cat isn’t much of a lap-warmer. She is affectionate with Cassatt, but no one else. “My best friends who live above me have a wiener dog. We’re convinced the dog is in love with her, but she’s stand-offish,” Cassatt laughs. She can’t remember now whether her dad met Andy, “but I sent lots of pictures and he loved her,” she recalls. Cancer claimed him, the person who had inspired her career and love of cats. Drawing on large sheets, Cassatt cuts and tapes the images in Andy’s window, then photographs and posts them on Instagram. Cassatt doesn’t publicize her address, but there’s heavy foot traffic outside Andy’s window, and fans are delighted when they spot the famous Instagram cat, sharing her deep thoughts, and basking in the glow of her fame. Michelle Blake is a Salem, OR-based freelance writer whose work has appeared in national publications. Her husband wants you to know she's a REALLY crazy dog lady too. Posted in Feature, Fetch, Life with Pets and tagged with Andy, Cat. Priem works part-time in marketing for Salem Health, and been a board member of the Willamette Humane Society for 10 years. While both roles gave her plenty to do, five years ago the lifelong animal lover was inspired to do more. Many patients in this type of scenario are older with little or no family or support, homeless, or otherwise struggling with slim resources, if any. “Usually in cases like these,” Priem says, “good samaritans working at the hospital would say, ‘Okay, I’ll take care of the pet.’” The problem was, caring for animals took time and energy that staff needed to focus on patient care. Bothered by the dilemma, Priem approached administration with an idea: “What if I could be your ace in the hole — your secret service on call, day or night to help?” Given the go-ahead, she brainstormed with security staff and soon began FETCH, Fido’s Emergency Team for Caring Hospitals. “I look at it as, ‘if it’s got a heartbeat, we’ll care for them.’ They’re human. If that means caring for their dog or cat, then that’s what we’ll do,” says Priem. A gift from the Salem Health Foundation enabled FETCH to partner with the Willamette Humane Society for emergency boarding, helping even more animals. Today, FETCH has a handful of stalwart volunteers — including some hospital staff — who will come day or night to take a pet, and five on call. Those who help or have helped range in age from teens to over 70. FETCH is always “on call” for hospital care managers or social workers who typically help patients with limited resources with things like finding a skilled nursing facility, transportation home, etc. The group also works with hospital security staff. The need arises frequently — nowadays averaging two calls per week. Priem has many stories about the cases she’s handled — FETCH has cared for more than 110 animals since 2013, helping keep families together. “I’m not one to brag, but I wouldn’t be surprised if my FETCH team saved a couple of lives here and there,” she says. Another story tells of a gentleman with a life-threatening infection who’d put up his dog in a motel and then walked several miles to the ER. A long-haul driver, after receiving help — for himself and his dog —told Priem, “You don’t even know me, and you rescued my dog from a motel.” The grateful gentleman said he was going to look into helping others this way when he got home. Felix, a 25-pound cat, was left behind in a mobile home. Unable to care for or even lift him, the owner agreed to surrender him for rehoming. “Please find him a good home,” she begged Priem, who said there were three holds on Felix at WHS by prospective adoptive families the first day. Ultimately he was adopted by a counselor, and is reportedly now helping her with grief counseling. Still another case was a woman who had been homeless for eight years. 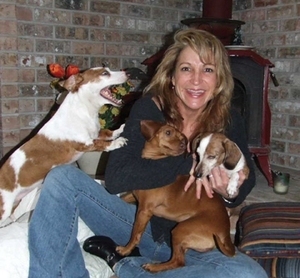 She had three old dogs who themselves needed medical care. With the help of WHS, the dogs got better. The woman also got better, then found a job and an apartment. “This is a woman who was on the streets for eight years, often going without food so she could feed her dogs!” Priem repeats, still overjoyed with the outcome. Other cases underscore the value of FETCH to not only the humans it serves, but the pets. One gentleman came in, leaving behind two Rottweiler/Pit mixes, which were ultimately surrendered to WHS. “Ozzie was dangerous,” says Priem. “The best trainers at WHS worked with him for 10 months. They didn’t give up. We all saw a special light in his eyes, but there were times . . . I’d get ‘the call’ that he might not make it. 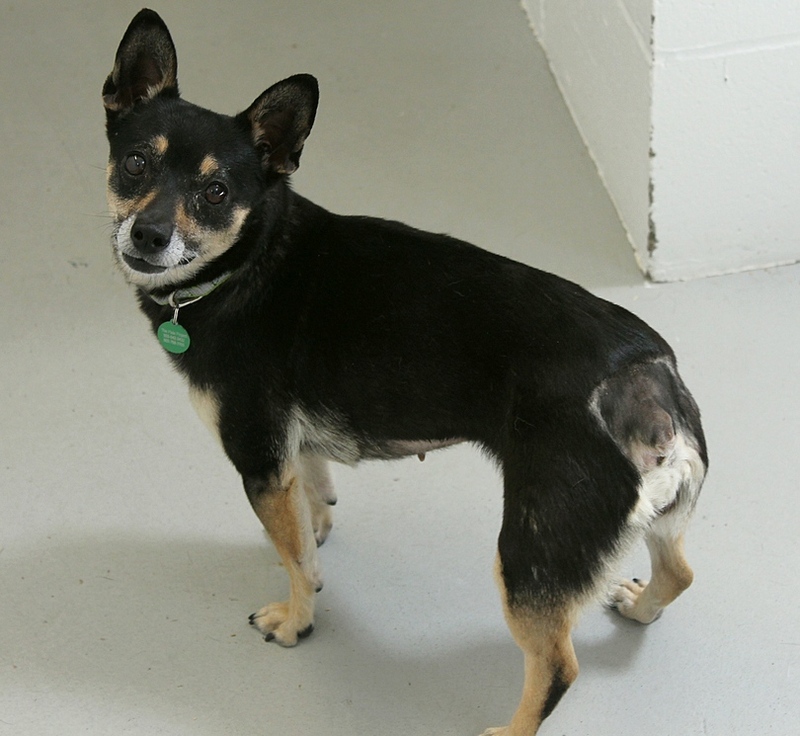 “We’ve had pets at WHS for weeks at a time, belonging mostly to people facing health emergencies. But also who are homelessness, elderly, or have no family support. ”Word of mouth has increased our work, which means staff really need us,” she says. “They really care about our patients, so I’ve become their hidden asset!” If the need continues to grow, she says she hopes FETCH will become a more formalized hospital program. Priem welcomes anyone interested in starting a program like FETCH in their community to contact her, and to use her forms. Volunteers are also needed to help with anything from feeding or fostering cats and dogs in their homes to donations of pet food and funds, which can be made to the Salem Health Foundation. Contact Priem at spriem@hotmail.com. Posted in Animal Welfare, Feature, Fetch, Life with Pets, Pet Biz and tagged with WHS. Land Rover recently announced that it is launching a range of premium Pet Packs to help Land Rover owners’ four-legged friends travel in the lap of luxury. Each Pet Pack includes accessories to suit a range of requirements, including a premium quilted load space liner to protect against paw prints, a foldable pet carrier, an access ramp, a spill-resistant water bowl, and portable rinse system for muddy walks. Posted in Feature, Fetch, Life with Pets, Pet Biz and tagged with Dogs, Travel, Gear. The TrustedHousesitters app is a new way for pet parents to connect with caring, verified house and pet sitters who are willing to take care of pets for free. Available on the App Store, the app is free to download and enables owners and sitters to connect and stay in touch, no matter where they are in the world. 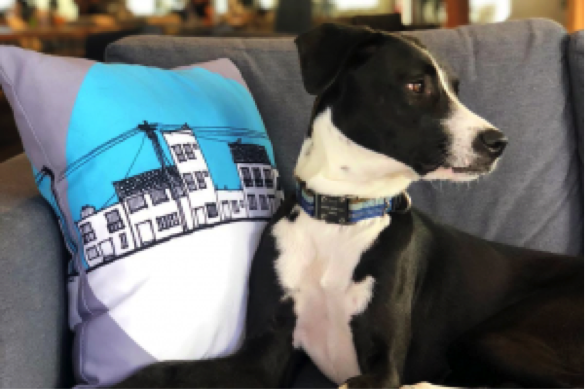 Timed to celebrating the app’s launch, TrustedHousesitters compiled culminated a top 100 list, after two years of polling animal lovers in 130 countries about their favorite pet-friendly destinations. Several Oregon venues made the list, including Multnomah Falls, along with several Portland-area cafés — Bipartisan Cafe, Fleur de Lis Bakery & Café, and Barista Café. 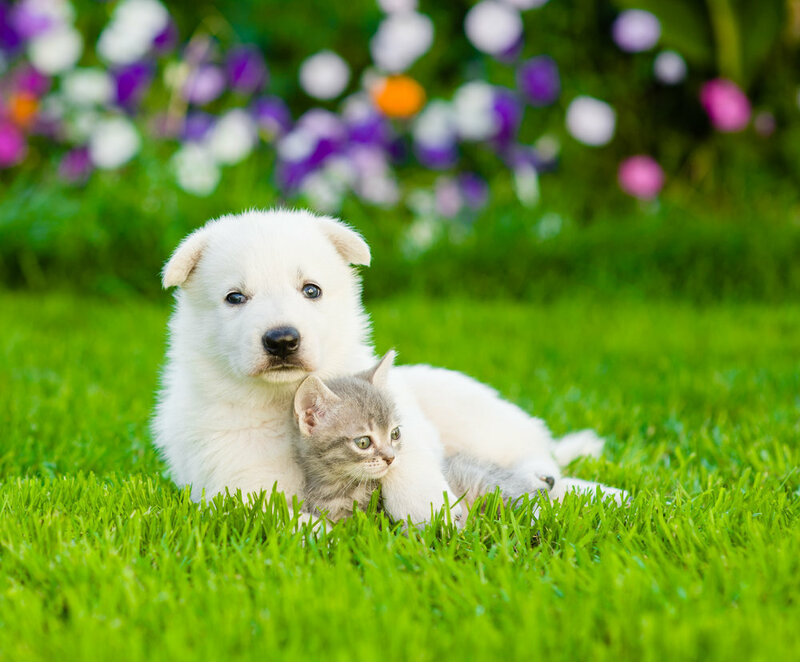 Bipartisan was the most popular with animal lovers surveyed, ranking #59. Fleur de Lis ranked #62, and Barista ranked #86. Greg, Manager of the Fleur de Lis, said, “Dogs and other pets are always welcome . . . . They are considered to be just as important as our human customers. Our patio is comfortable for your pet year round”. Also making the list at #95 is Mark Ridges Winery, where pet lovers can soak up the views, live music and wine, while their pooch plays with the two resident Golden Retrievers. See the full list of the 100 most pet-friendly places in the world at trustedhousesitters.com/top-pet-friendly-places. 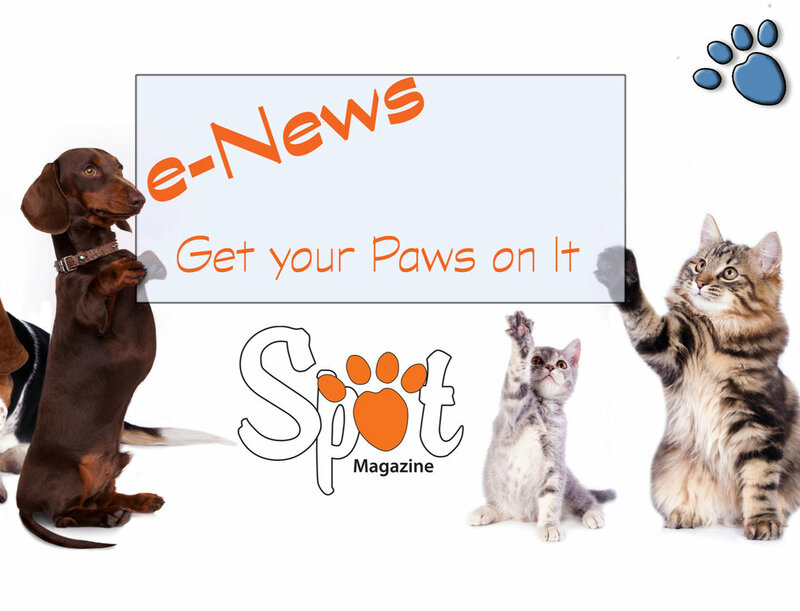 Posted in Fetch, Feature, Life with Pets, Pet Biz and tagged with Pet Sitting, Technology. Local marketing professional Greg Robeson has closed his longtime agency to follow two of his greatest passions: dogs and the environment. Oct 1, Robeson launched Green Whiskers, an earth-friendly mobile pet salon featuring technology that uses up to 90% less water than traditional methods. He began planning the business last year after attempting to schedule mobile grooming for his family’s Golden Retriever, Sally. After receiving a call-back from just one groomer — which was booked for months — Robeson researched and confirmed a need for more local mobile groomers. He also discovered a grooming system that injects cleaning solution directly onto the fur and skin and then suctions the moisture, using less than one gallon of water (traditional shampooing can use up to 10). Best of all, the technology feels like a massage. Robeson is committed to a calm, pampering canine experience and outstanding results thanks to an award-winning show groomer. Also in the wings —grain-free vegan cookies that in tests are getting great reviews. Following the launch of Green Whiskers, Robeson plans to add more mobile salons in the coming years. In support of this, he is hosting a unique GoFundMe campaign, seeking a total of $15,000 from 30 dog lovers who will receive a year’s worth of free grooming. Posted in Pet Biz, Life with Pets, Fetch, Feature and tagged with Green Living, Grooming, Mobile.